Kent's "Hooligan Libertarian" Blog: Child sacrifice- "everyone does it"
Child sacrifice- "everyone does it"
"Public school"- or, more honestly: kinderprison. Does it magically stop being child abuse just because "everyone does it"? Would it not be child abuse to sacrifice your children to Moloch if that was the expected thing to do in your society? 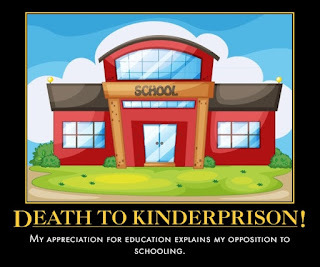 Kinderprison is child sacrifice to the god of The State. Even if their bodies survive, their minds are less likely to. Almost no one escapes without at least some mind damage after going through "public school".